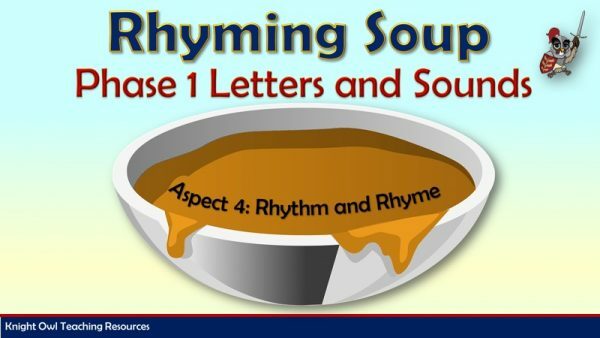 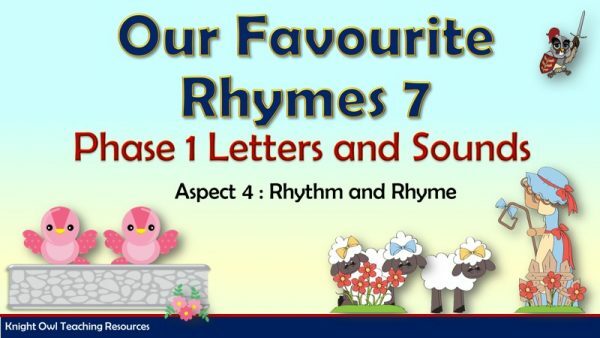 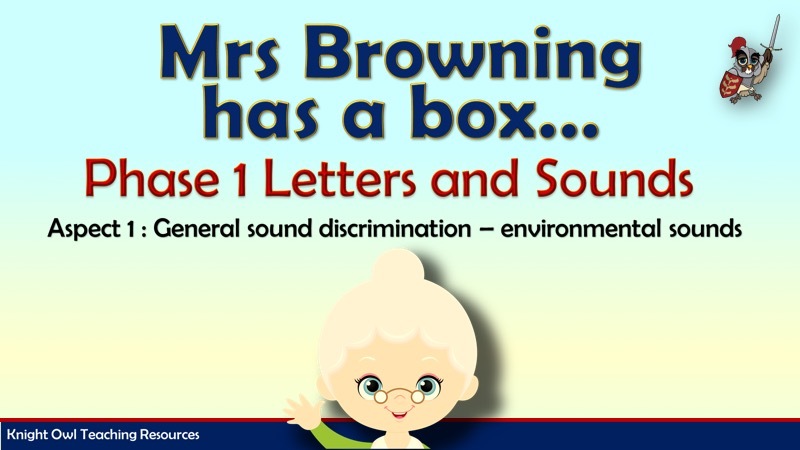 A powerpoint to support the governments Letters and Sounds programme Phase 1 Aspect 1: General sound description – environmental sounds. 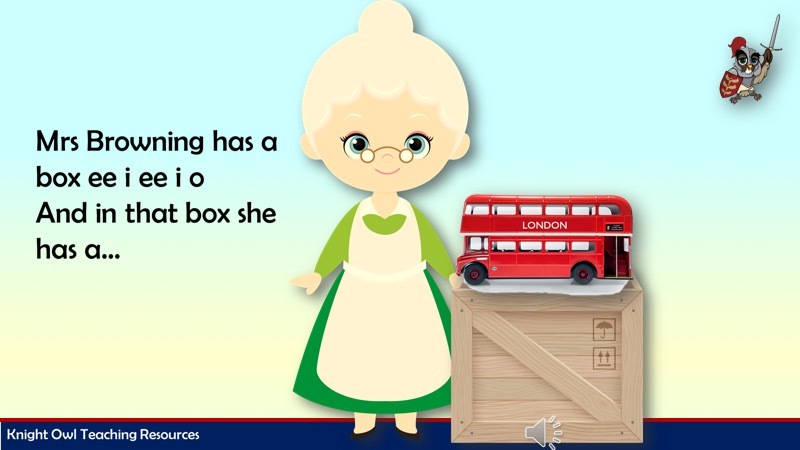 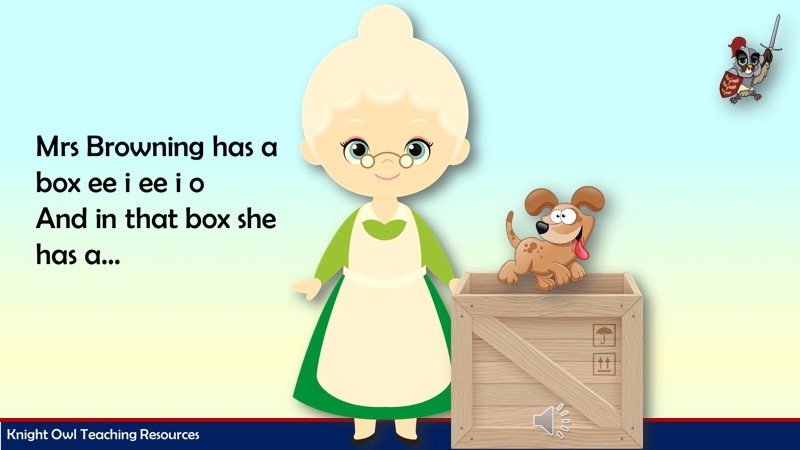 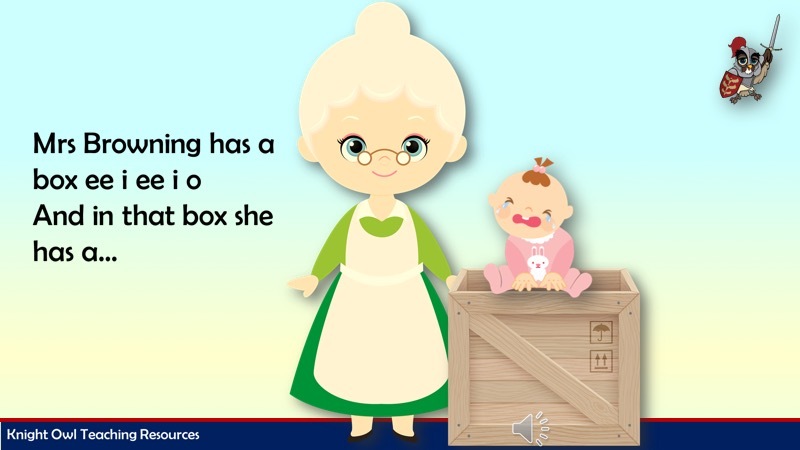 The children sing the song ‘ Mrs Browning has a box ee I ee I o’ and then listen to the noise coming from the box. 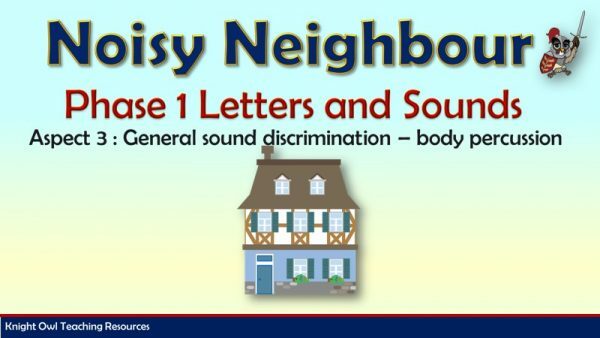 They have to try and identify what is making the noise.